Flexible payment options available to make your life easier. At Medland Dental we want your treatment to be as easy and convenient as posssible, so we have a number of flexible payment options available to make your life easier. You’ll know exactly what will be involved with your treatment and the costs involved. At Medland Dental we will always give you an itemised estimate of treatment fees and where possible, several treatment options to suit financial, personal and cosmetic preferences. 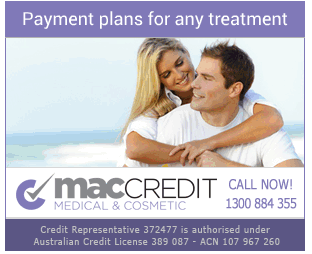 We have a number of payment options available to our patients. Please feel free to discuss payment options in private with our front office coordinators. As a family or an individual, you may be entitled to a tax rebate on the combined total of your medical expenses. This includes your “out of pocket’ dental expenses once they exceed a certain threshold in the financial year. To find out more about the rebate, and the current threshold and eligibility criteria, contact your accountant or the Australian Taxation Office. *A surcharge applies to payments made using American Express. You may be eligible to claim back some of your treatment costs through your health fund. It all depends on your plan and provider. At Medland Dental we have HICAPS facilities so that you can claim directly from your health fund and only pay the difference at the time of your treatment. If you are looking to spread the cost of treatment, consider Medland Dental’s flexible payment plans which make the treatment you need easier on your budget. Any Medland Dental planned treatment can be purchased by lay-by with flexible monthly payments through Ezidebit, including crowns, bridges, and veneers. Lay-by helps you make full payment prior to treatment without any debt. Alternatively, our credit partner, MacCredit, can provide patient finance and tailor a specific dental payment plan to suit your situation. There are no up-front fees, no deposit, and flexible credit plans up to $70,000 can be arranged stress-free by phone or online. You can apply directly through the MacCredit website or we can help submit your application. Medland Dental loves to reward patients who take their oral hygiene and general dental health seriously. Patients who are proactive about their dental health and make regular 6 month appointments deserve to enjoy a few extra benefits. Our Pre-paid Pricing Plan saves you 5% on all your preventive dental care so your teeth and gums stay healthy. Get the preventive dental care you need without the large bills. Our direct debit payment plans make dental health even more affordable with easy interest-free payments.